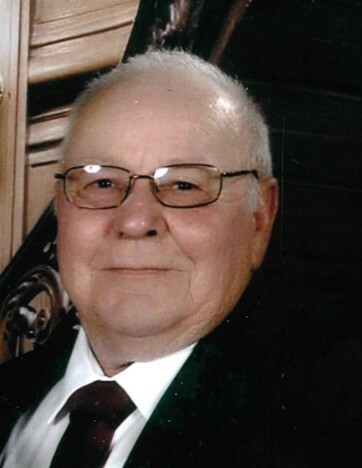 Ray Allen Whitener, age 69, passed away peacefully on January 20, 2019 at Grace Living Center in Bethany, OK. He was born in Worland, Wyoming on December 30, 1949 to Robert Lee and Shirley Lavonne (Fresorger) Whitener. Ray graduated from Carl Albert High School in 1968. He enlisted in the United State Air Force after graduation. He worked at Southwest Bell as a lineman and had many years of working in the mines of Wyoming. Ray went on to run his own long-haul trucking company running 48 of 50 states plus Canada and saw many wonderful parts of the world during this time. Ray had a passion for living which was evident in his hobbies some of which included getting his private pilot’s license and owning his own plane – a 1981 Cessna 152, racing his stock car – the Koffee Kup, having many classic cars and a love for his motorcycles, from his touring Goldwings to his custom Harleys. More than anything, Ray loved his family. Ray is survived by his two daughters, Shelly Whitener and Alfredo DeLeon of Alvarado, Texas and Tonya Carter and Jason Carter of Oklahoma City and son Dusty Whitener; grandchildren, Shayla Rice and Brandon Rice, LCpl Christopher Barry, Cody Talbert and Catelin Talbert and a soon to arrive great-grandson; Ronya Schlager and family; Charlie Bracken and family; Jordan Whitener and family and a host of aunts, uncles and cousins. Ray was preceded in death by his parents, Robert and Shirley Whitener a sister, Roberta Bracken, and son Devin Whitener. A Remembrance of Life will be held on Wednesday, January 30, 2019 at 11:30 AM at OK Cremation and Funeral Home Chapel, 2415 N. Walnut Ave, Oklahoma City with Chaplain Jan Osborn officiating.